The Serenity Hua Hin, where we combine comfort, personalized service and exceptional value. The Serenity Hua Hin offering 54 rooms and it is ideally situated in the busy town centre with nightly street market, shopping area and restaurants. The Serenity Hua Hin’s guestrooms are in Deluxe and Premier Deluxe categories, each with a private balcony and pool access. The hotel also provides laundry services and a 24-hour front desk. Charisma Restaurant serves a selection of local Thai dishes and Western food. American breakfast is also served there every morning. The entire premises is well prepared for events for hosting from 20 up to 80 guests for business occasions, events or private weddings with full set of audio-visual equipment available. Your’re planning a meeting, a wedding or corporate events. You know the number, the date, the catering style and the budget. Let us come with the package to match your needs. Check out our complimentary Hotel Shuttle Bus Service to Hua Hin night market, Clock Tower, Cicada Market, Department Store, Shopping Area and Ploenwan. Our hotel just minutes outside the crowded of Hua Hin and very convenient to major attractions of Hua Hin. The Serenity Hua Hin is located 350 metres from Hua Hin Beach. Offering free Wi-Fi and an outdoor pool, it is a 5-minute drive from Hua Hin Town. Surrounded by tropical landscaped gardens, the air-conditioned rooms at The Serenity Hua Hin feature stylish interiors and dark wood furnishings. Each comes with a flat-screen TV and minibar. 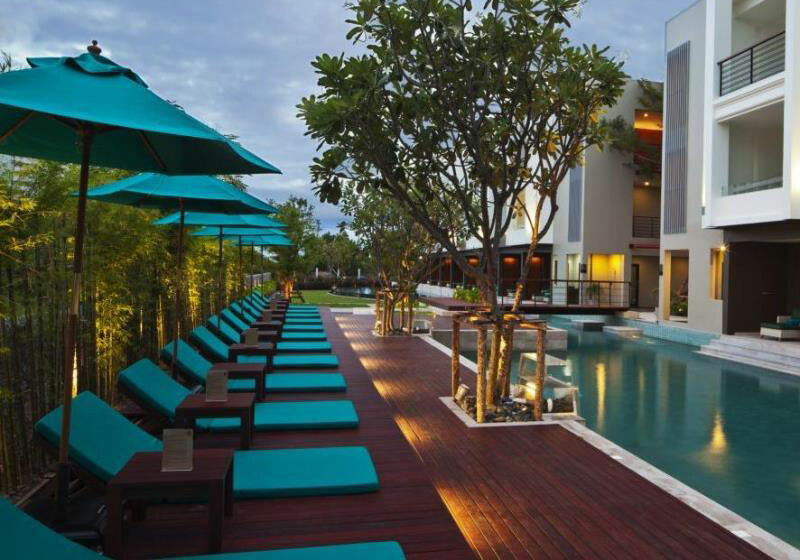 Short Description: The Serenity Hua Hin is located 350 metres from Hua Hin Beach. Offering free Wi-Fi and an outdoor pool, it is a 5-minute drive from Hua Hin Town. Surrounded by tropical landscaped gardens, the air-conditioned rooms at The Serenity Hua Hin feature stylish interiors and dark wood furnishings. Each comes with a flat-screen TV and minibar.